Bingo licenses are issued at the county and city level in California. CA Ins Code § 11520 et seq. 10 years of continuous existence immediately preceeding licensure. The following disclosure is required in 12-point or larger font near the signature line: "Annuities are subject to regulation by the State of California. Payments under this agreement, however, are not protected or otherwise guaranteed by any government agency or the California Life and Health Insurance Guarantee Association.". An audited financial statement is required with the application. Charities must authorize the creation of the annuity fund by board resolution. 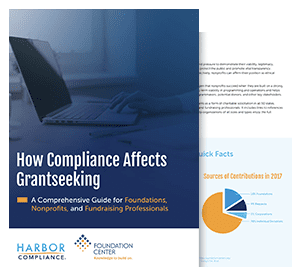 In addition, charities need a segregated reserve fund and must follow reserve fund regulations to qualify for issuance of charitable gift annuities. Annually within 120 days of the organization's fiscal year end. In addition to annual statements, charities must submit quarterly statements with information on each annuity agreement. Agency: California Attorney General - Registry of Charitable Trusts contact form for charity inquiries. If you believe you are exempt, make a request in writing to the California Attorney General's Office prior to soliciting. You will receive an exemption letter in return. Your organization must register within 30 days of receiving assets (property, funds, etc) that are held in a trust. Any authorized or director may sign. Signature need not be notarized. 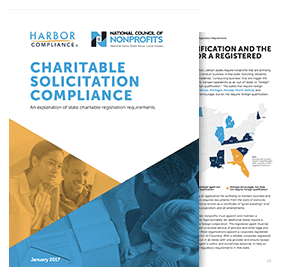 Some California counties and municipalities may require charities that solicit in-person to register prior to fundraising. Failure to submit renewal on time can result in loss of tax exemption and assessment of minimum tax of $800, plus interest, and/or fines or filing penalties. The Attorney General will notify the California Franchise Tax Board to disallow your state tax exemption. Directors, trustees, officers, and return preparers are personally liable for these fees and penalties - you cannot use charitable assets to pay them, they must be paid out of of pocket! File the renewal application for the new fiscal year along with a letter stating that the organization has changed their fiscal reporting period. Due Annually by January 30th. File Form CT-11CF: Notice of Intent To Solicit For Charitable Purposes - Fundraising Counsel at least 10 days prior to the start of the performance of a contract. File a notice of entry into contract at least 10 days prior to the start of the performance of the contract. 1 year of continuous existence in California. Poker, Baccarat, and other games of chance. 3 years of continuous existence in California. Registration allows charities to host one game night over the course of a year. Solicitors who are not employed by a professional fundraising firm but operate independently may be required to register. Employees of professional fundraising firms are generally not required to register as an individual solicitor in California. Registration is not required for individual solicitors in California, but other requirements may apply.